My galleries are structured like Chinese boxes; clicking on each thumbnail will lead you to other galleries, which are linked to each other by the same theme. *** Thank you for visiting my visual world. You might jump directly to my favourite gallery of the moment clicking on the little rabbit. Obviously the link will change, according to my mood. "I never question what to do, it tells me what to do. The photographs make themselves with my help"
Unnecessary rambling talks of an amateur photographer. Look at nature as children do! "Are you going to Scarborough fair?" I roamed the countryside searching for answers to things I did not understand. What an artist! Been very happy find your site. I love your gallery and your perception through your photography. And your decorative flair with the website pages is really great. Thanks for sharing them with us. The best gallery I 've seen in pbase. Congrats! I have received great joy from your pictures. You are filled with love and light and it shines through. Thank you. Wow, what a fantastic site. I particularly like your home page. I have bookmarked you for frequent re-visits. Wow, I'm just lost for words, what a pleasure to see how you have managed your pbase account, I wish I could learn from you, how about you publish a paperback on setting up pbase. I would for sure be first in line to purchase. Your photography and subjects just compliment your obvious talent. You have eyes very few people have. A very diversified galleries with treasures all around. Keep going, your are unique. This is really a great gallery. I added it to my favorites. I like the structure of the sub galleries. Keep surprising your gallery visitors. And by the way, you live in a very "photogenic" country. By far one of the most stunning and inspirational collection of images I've ever seen. Pure talent, thank you for sharing it! Marisa, your photos are beautiful. Works of art! really interesting galleries in fantastic style. What a fascinating journey it is visiting your exquisite galleries. It's like strolling in a maze of a fairyland - that one can easily get lost, yet doesn't want to get out. A great collection of well composed images. hi, your pics are wonderful!!!!!!!! city atmosphere, nature, your feeling.. Your pictures are amazing. 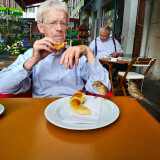 I am currently in Nyon from the U.S. and I am trying to find all the places that you've shot. The snow is making Nyon even more beautiful. 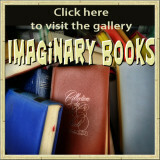 These are the most fascinating, creative, spectacular, thought-provoking galleries!! Bravo! Triple vote! Marisa, I bet you've read thousands books, because you are very good with words, not "just a great photographer" who thought their pics speaks more than a million words. PBase so lucky to have you here, and I'm lucky to enjoy your gallery every now and then. A wonderfully creative presentation of images and ideas, but especially of your own personality in a unique style. Congratulations. Sempre grandi emozioni / Always great emotions. I am totally impressed, wonderful galleries! All i can say is WOW & WOW &WOW !!!!!! Marisa, your galleries are among the most impressive in PBase. Your images are consistently wonderful and fascinating. Your productivity, technical wizardry and creativity are staggering. v.
Absolutely stunning! You are amazing! I'm using your South of France pics as inspiration for a new facade on my house. Thanks! You have some wonderful galleries here, really enjoyed viewing them. Say by the way how can I put music in the background of my galleries??? You have very nice images and very unique presentation, Marisa. Most beautiful pbase presentation I ever saw . Very well done Marisa , you are a real artist. 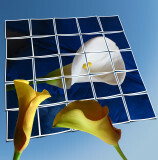 Your visual layout of your galleries is creative and impressive. You have talent! Je ne trouve pas les mots pour vous dire toute l'émotion que j'éprouve à contempler vos photos !!! You Are really a MAster !! !...Great Galleries..enjoyed them all...Big Vote!! Je reviens de temps en temps à tes galléries Marisa. Tas une très particulière façon dattraper ton entourage. Certaines images jaimerais même les imiter. Marisa, you're galleries are all so intriguing and inspiring. I loved each one and spent a great deal of time in many of them. Thank you. I will be back many times. Des galeries variées et les sujets traités avec beaucoup de qualité. Tena koe (greetings in Maori). Your kind comment in my site immediately guided me to your outstanding site. Frankly this is mind-blowing! The quality and variety of work displayed is insipirational for a rather new Pbase supporter. Naturally I have added you to my list of favourites and look forward to taking a journey through the world via your camera. you've got to be in the top 1% of artists on pbase. your work is invigorating. voted. I want to live in your pictures Marisa. Love the colors and light in all your photos. Quel talent ! Je me réjouis chaque jour de voir vos nouvelles photos... pour mon grand plaisir ! Bravo et bonne continuations... MERCI de partager ces belles immages. So many wonderful images, great work here Marisa, thanks for sharing. Wow, you have such a large collection of beautiful galleries, and I do not know how I have not come across it before. Will need to return a few more times to view and enjoy all the photos. You have a great collection of photos here. One of the best in PBase. Big vote from me. Bookmarked! Wonderfull and fantastics gallerys. I like the way you work the lights and darks ... i Vote and also add you to my favourites, i will come back here many times. Congratulations!!!! Famntastic Gallery !!! Great work , very very nice Bravo !! I think you are a poet! Thank yo. Cristina. After I visited your galleries (not all of them yet) I've decided to throw away my camera and never ever take pictures again...:-)) Thank you letting me know about your art!!! Stunning colours and tones! Simply great! All I can say is...you are brilliant. Simply, absolutely brilliant. 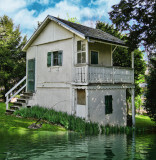 Great galleries, really enjoyed looking through them. There's a lot of good work here, so I'm coming back to see some more later :-) I just love looking at galleries like this. Marisa.....What a wonderful way to be swept away!!!! The edge before sleep...the late night haunts! Many thanks for the dreams!! Your work here is rich, warm and inviting. I don't know how you do it, and I'm ok with that. Keep on posting Marisa! On resent dans vos photos le sens du beau et l'émotion que seulement peu amené à une photo. I have never seen such beauty... You have the eye to capture beauty in almost everything around you... shows your love for life.. I've enjoyed each and every photo/work you've done.. Simply Breathtaking! I'm very impressed wih your work, Marisa. I love your gallery photos, they're so beautiful, it's an amazing work what you do. I'm pretty sure that everybody will enjoy your work as I do. God bless you, and to your family too. Congratulations. Beautiful art that everybody should see. You live in a very beautiful part of the world and show it brilliantly. Voted! don´t need any words. Excellent! Your galleries are alive with colors.You certainly have the gift of an artist & you know your stuff . Very impressive work. Highly inspiring and vibrant! Voted. Fantastic galleries; congratulations and thank you so much for sharing the beauty. You have the rare talent to turn photography into true art! So beautiful they almost hurt, these images are emotions and relationships expressed in two dimensions at a master's level. Wonderful and courageous. Exquisite setup! Wonderful all-the-way-round. Vote. 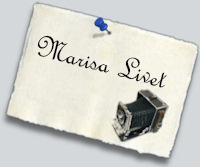 Marisa....... Love your site and truly enjoy many of your images! You really have an eye for color and composition! Your work is absolutely amazing. An incredible eye, you've captured great images here....voted! Hi Marisa , Enjoyed your galleries , Magnificent photo's , - CONGRATULATIONS - !!!!!!! Congratulations Marisa, you have this capacity to collect magic moments, single and spontaneous. Afflicted for my so bad English, but I'm French. Maybe you know this sentence of brillant Arthur Rimbaud : " Il m'a semblé voir quelque chose que d'autres ont cru voir " ( " It seemed to me to see something that others believed to see " ) You're a great artist !!! One day I will hopefully reach your level. Stunning collection of pictures. I enjoyed watching them. i love the new look of your galleries, i visit here often to take a vacation from my work...i was in london today... FOR FREE!! !...thanks for the trip...you are way better than any travel agent, and without the jet lag...Alex..